New functionality: Administrators can enable a setting that allows individual users to control task assignment notification emails. When this setting is enabled, users can go to My Settings > Reminders & Alerts to modify the “Email me when someone assigns me a task” checkbox. Disabling this checkbox turns off all task assignment email notifications. Our Thoughts: In case users complain about receiving too many email notifications, they will absolutely love this new feature. 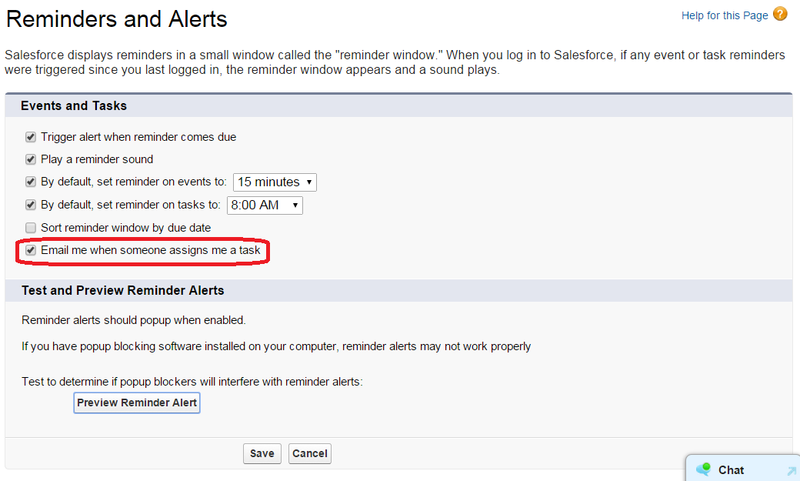 This setting allows individual users turn notification emails on or off for all task assignments globally. We have subscribed to the class feed and have been perusing the class readings and videos since the start of the semester. It's definitely the who's who of Silicon Valley, that's participating. Here's a link to the site and a glimpse of the content featured.